ANSI RATED LENSES/FRAMES. 8-LAYER POLARIZATION. RX READY. PERFECT FOR YOUR WORK PLACE OR HAPPY PLACE. All DVX styles are ANSI-rated for High Mass Impact and High Velocity Impact. To meet these requirements, the eyewear must be able to withstand the impact of a 1.1 lb projectile dropped from 50". And every lens and frame must be able to withstand the impact of a .25 caliber steel ball fired at a rate of 150 FPS. 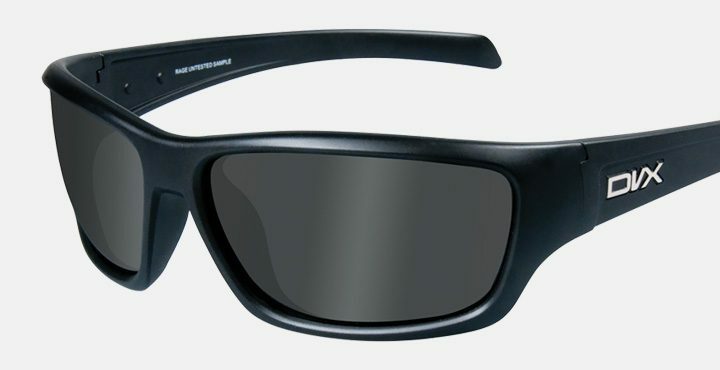 Most DVX styles are RX-Ready with either a Rim chassis option or a conventional prescription lens. Frames are made from virtually indestructible material that provides optimal tensile strength while being lightweight and comfortable. There is no safer material for on the job or on the go protection. 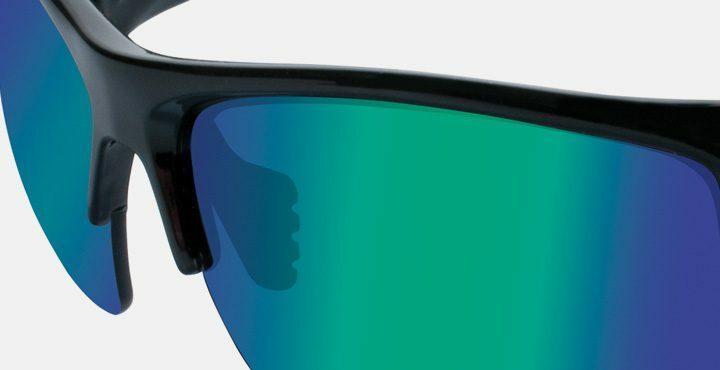 Most DVX styles have double-injected rubber nose bridge and temple tips, for a snug fit even during high sweat activities. Some DVX styles feature adjustable wire-core nose bridges and temple tips so that a perfect fit can be achieved no matter your face size or shape. 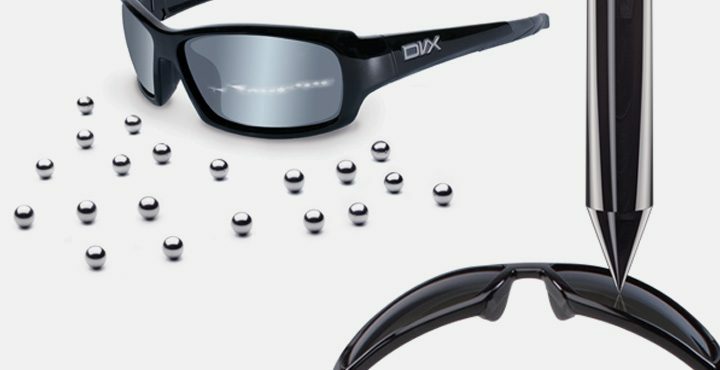 All DVX Sun + Safety lenses are made from shatterproof polycarbonate. This is one of the world's most impact resistant materials for safety in any situation. Each Lens has a scratch resistant hard coat, for years of optical clarity under rugged use conditions. All lenses meet ANSI optical clarity requirements. 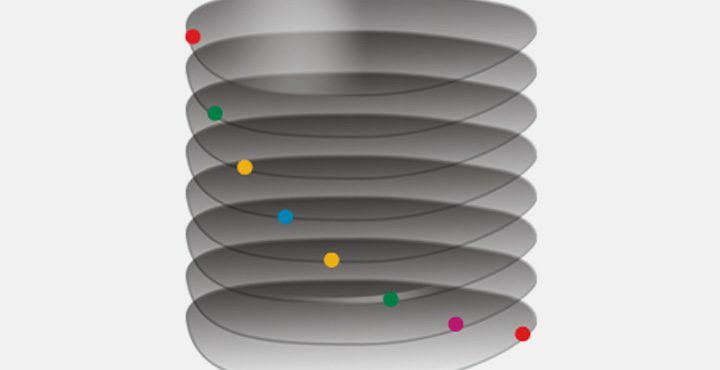 This means A) objects at a distance remain sharp, B) the size of objects remain true and C) prismatic power is maintained, meaning the spatial relationship of objects in the field of view remain true. ANSI rated with maximum light transmission. See precise color values. Hazy or overcast, dusk/dawn conditions. Light transmission: 89%. Darkest lens DVX offers. Multi-coat, Z-Oxide mirror over smoke lenses. Reduces glare. Excellent on bright days. Light transmission: 11%, 10-11.5% Polarized. Maximum glare reduction without distorting colors. Great for general daytime use. Light transmission: 14-15% Polarized. Maximum glare reduction. This lens won’t distort color perception because of its neutral grey color. 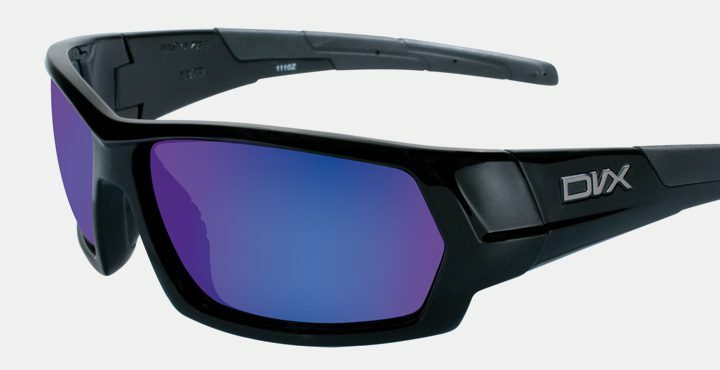 These lenses provide excellent performance on bright days. Light transmission: 14%, 12% Polarized. Absorb reflections across mirror surface, diminish glare. Ideal in bright conditions. Light transmission: 12.5%.